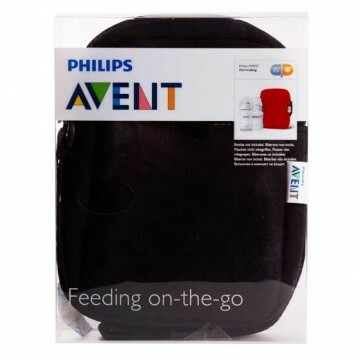 The Philips AVENT Neoprene ThermaBag is designed to hold 2 bottles, perfect for ensuring your little one's bottles stay warm, or cool, on the go. Ensures bottles stay perfectly warm or cool for up to 4 hours for easy on-the-go feeding. Sleek, slim and versatile design for stylish practicality. Lightweight with an adjustable shoulder strap for comfort on the move. Designed to hold AVENT Bottles, VIA and Magic Cups. Available in red, navy or black.